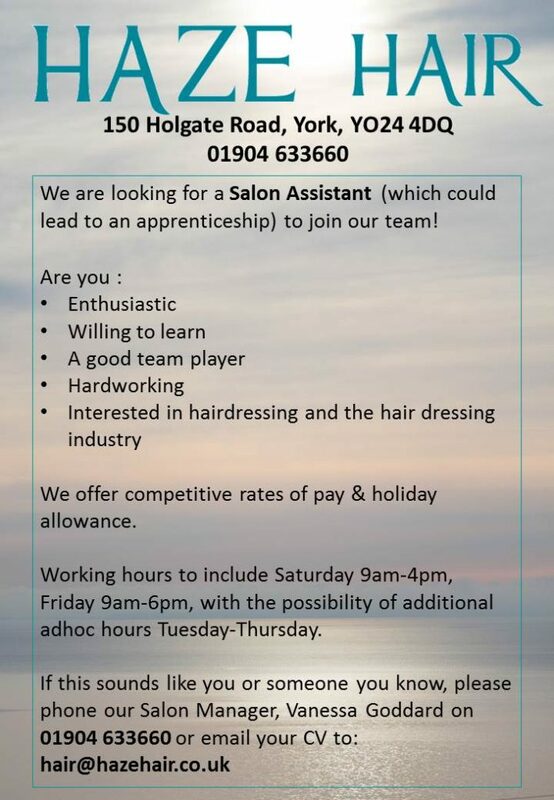 We are looking for a Salon Assistant (which could lead to an apprenticeship) to join our team! We offer competitive rates of pay & holiday allowance. Working hours to include Saturday 9am-4pm, Friday 9am-6pm, with the possibility of additional adhoc hours Tuesday-Thursday.